Compliance is one of those topics that bankers often complain about. It's no wonder when you consider new and more complex regulations and huge fines to go along with banker mistakes. 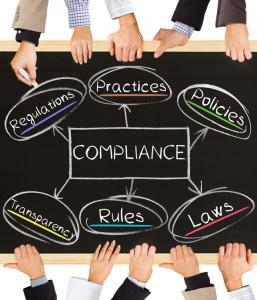 Everything in the compliance world seems more difficult, time consuming and expensive to stay compliant. In fact, FDIC records indicate that while US banks earned $700B in profits between 2007 and 2014, they paid $150B in fines, settlements and other penalties. While a big chunk of those payments were hefty fines and settlements paid by big banks, community banks have certainly seen their share of penalties. In many ways, it can be more challenging for community banks to keep up with new and more demanding regulations, so they can easily get hit with stricter enforcement. More rigorous enforcement of BSA/AML in particular, has prompted big banks to become much more diligent about compliance and to fire more customers. Regulators say one result is that when big banks terminate relationships with suspicious clients, those clients seek to move their accounts to smaller banks with less experience managing BSA/AML risk. A community bank without a robust compliance function that can effectively spot and report suspicious activity - as defined under regulations and heightened standards - could wind up with major problems and nasty fines. BSA/AML issues are just one type of compliance risk facing community banks, but there are others. Consider that fair lending rules require close monitoring of how consumer credit is handled. Often, banks outsource development, implementation and fulfillment of consumer credit products, but that has risks. After all, banks are still responsible for compliance with fair lending rules, no matter how the product is designed or delivered. Regulators say one result of the rise in outsourcing here is also an increase in compliance risk, so be careful. Further, some banks that have offered credit to active military personnel and their dependents have seen additional fines and regulatory issues. These could relate to the recently amended Military Lending Act (MLA), which sets certain rules and disclosures designed to protect active military from unfair lending practices. That sounds good at face value, but to ensure compliance, banks need to review loan products to make sure whether or not these new MLA rules apply and then take any and all necessary steps to meet requirements. Yet another area of compliance risk for some banks relates to money market funds. Here, some may be affected by revisions to SEC rules that become effective in Oct., 2016. Banks that offer money market funds covered by these SEC rules will need to incorporate changes into their compliance systems. Earlier this year, global consulting firm McKinsey took a run at the issue of compliance. It suggested that to be the most effective, bankers should fully integrate compliance into their overall operational risk function. This will often mean elevating compliance functions within the bank, putting it under audit or the legal department, perhaps. In this environment, banks face such heightened regulatory risks, it is important to take a close look at things to avoid compliance lapses. No matter your process, it is important to ensure you have a way to verify compliance processes and procedures are sound and effective. It is just too risky not to look at this periodically to see where you may have holes and to take action to fix things quickly and directly. Yields rose 2bp as investors continue to wait for the outcome of Fed Chair Yellen's speech this week. Despite the fact that the number of M&A deals is down about 7% or so YOY, Bloomberg points out the size of deals is increasing. Last year, M&A by US banks reached $18B (the highest level in 7Ys) and this year so far it looks as though the level will be even larger according to Bloomberg analysis. Of note, in 9 of the 10 largest deals so far, selling banks have indicated increased regulatory burden was a driver. Research by the Fed Richmond finds higher rates do not always equate to a larger net interest margin for banks. The Fed looked at data back to 1979 and found sometimes NIM improves and sometimes it does not, as depending on the environment it may not be as easy for banks to increase loan rates charged without passing along some of that increase to depositors. Fed Vice Chair Fischer in a speech over this past weekend reiterated that the Fed's dual mandate is for sustainable employment and an inflation rate of 2%. He indicated the unemployment rate of around 5% is close to estimates of full employment and core inflation is running at 1.6%. Given nonfarm payroll jobs gains of about 185,000 per month (vs. gains needed to hold the rate steady of 75,000 to 150,000), the jobs data will remain tight. As such, it appears he is laying the ground work for the Fed to raise rates again prior to year-end if the trends continue. Research by Peninsula Press finds the percentage of cybersecurity jobs in the US that are unfilled have soared 74% over the past 5Ys.